About Mountfield Park | Located under 2 miles from Canterbury, Kent. 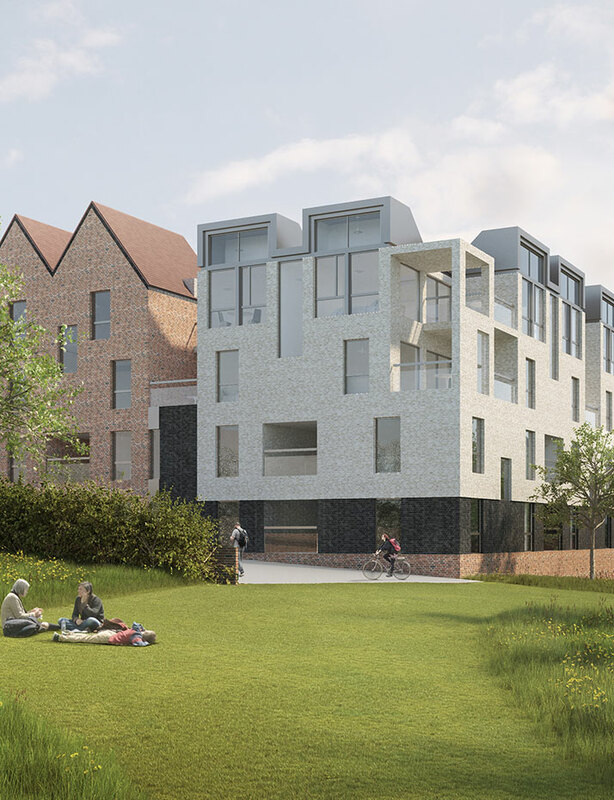 Mountfield Park is where the beautiful and ancient city of Canterbury meets the rolling Kent Downs to create a place of exceptional quality for living, working and relaxing. Where award winning architecture meets excellence in environmental standards. Where community facilities will foster a spirit of inclusivity. Where modern business premises will attract inward investment and help local enterprises to prosper. Where everyone from first-time buyers to downsizers to growing families can find a place to call home. 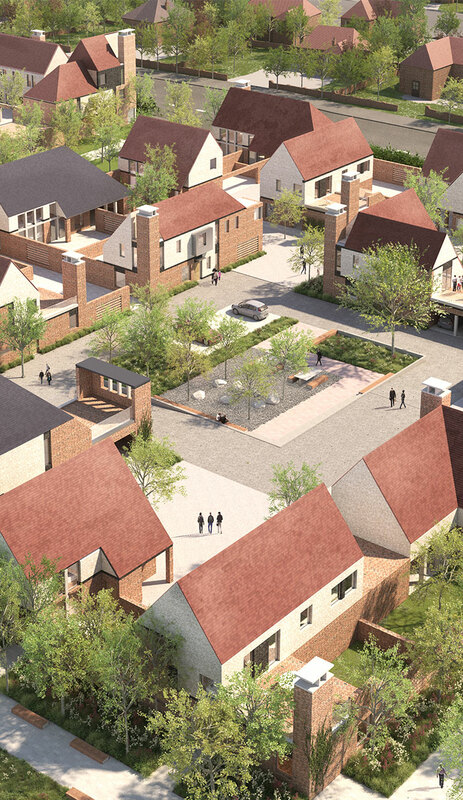 Covering an area of 565 acres, upon completion Mountfield Park will boast 4,000 new homes, including a sizeable allocation of affordable housing, alongside two new primary schools, a doctors’ surgery, a dental practice, local shops, a community centre with indoor sports hall and 69677 sqm of modern business premises. 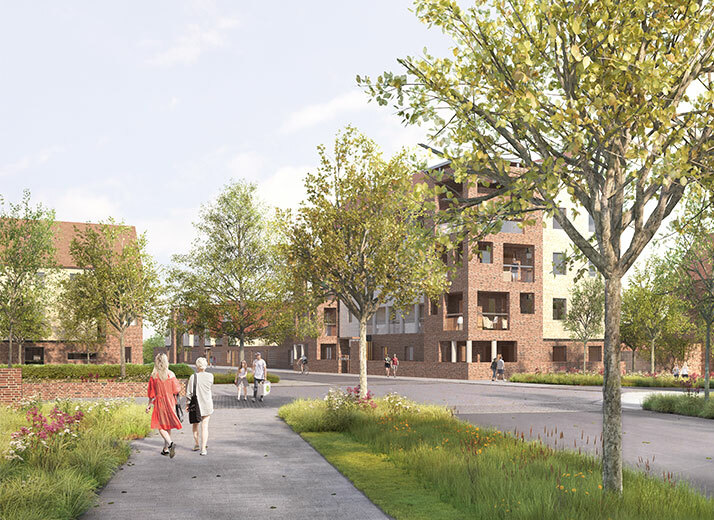 Set within an extensive network of green open spaces and new parks, Mountfield Park will be a better place to build your future. Strategically located alongside the A2 and just a short journey by Fastbus to Canterbury West, with its highspeed service to London St Pancras Station, Mountfield Park is ideally placed for business investment in Kent. Its location less than 2 miles south of Canterbury city centre means that the city’s rich cultural facilities and three flourishing universities are all within easy reach. 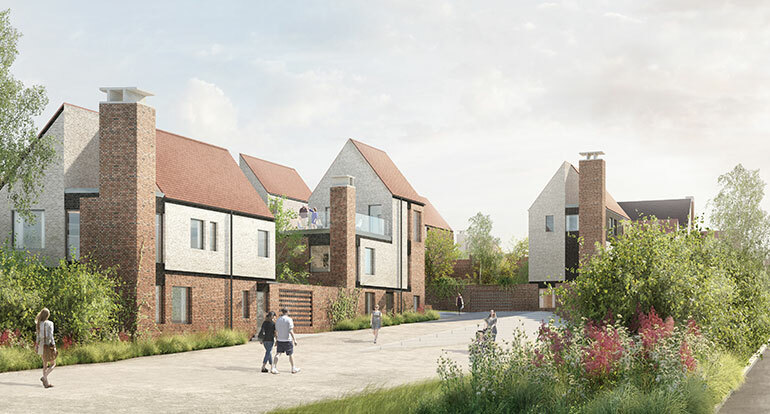 The award winning first phase, designed by Proctor & Matthews Architects, will deliver 140 energy efficient and contemporary homes designed for modern living. With open plan design, roof terraces and private gardens, generous interior space standards, electric vehicle charging points and cycle storage. These homes will set a new standard for home building within the city. 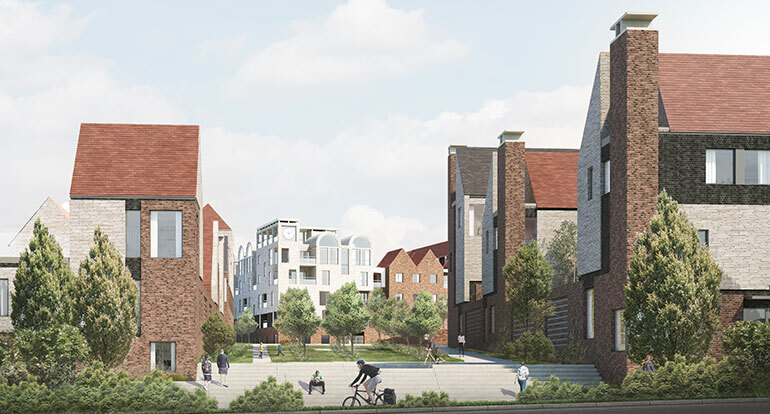 Designed around shared courtyards with new apple orchards, the scheme aims to nurture community and a sense of belonging. Where award winning architecture meets excellence in environmental standards. Discover more about Living at Mountfield Park.